Titanium Dioxide is used as a pigment in cosmetics, food, toothpastes, pharmaceuticals, and paper. Nanoparticles are ultramicroscopic in size and have one diameter less than one hundred nanometers. While nanoparticles are considered an advancement in science and technology in some respects, there are potential dangers depending on the chemicals the nanoparticles are paired with. Titanium Dioxide Nanoparticles less than thirty nanometers may lead to neurological dysfunction, genetic disorders, and possibly cancer. Due to their microscopic size, nanoparticles can penetrate the skin and enter the blood stream. Nanoparticles have also been shown to translocate, which means they migrate throughout the body from the origin of entry. Titanium Dioxide Nanoparticles cause oxidative stress which results in adverse biological effects such as DNA damage, micronuclei formation, endoplasmic reticulum damage, cell damage, and inflammation. 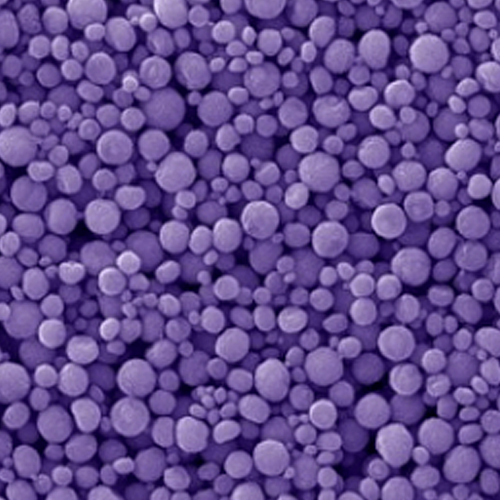 Inhalation of Titanium Dioxide Nanoparticles is the most common and harmful exposure route. Other forms of exposure include ingestion and dermal exposure.